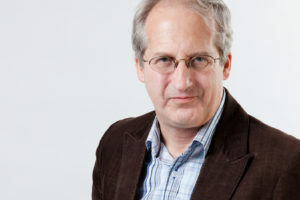 Gilles Raîche is a professor in the department of education and pedagogy at Université du Québec à Montréal, an appointment he has held since 2004. He was previously director of the Mesure et évaluation en éducation journal, then editor-in-chief of Revue des sciences de l’éducation, and is now in charge of the “Mesure et évaluation” collection at Presses de l’Université du Québec. He was also director of the Ph.D. in education program at Université de Moncton, and director of the master’s degree in education program at Université du Québec à Montréal. He is currently director of Collectif pour le développement et les applications en mesure et évaluation (Cdame). He is particularly interested in the development and applications of nonlinear factor analysis, as informed by item response theory. This area of interest includes adaptive testing and inappropriate response pattern detection.